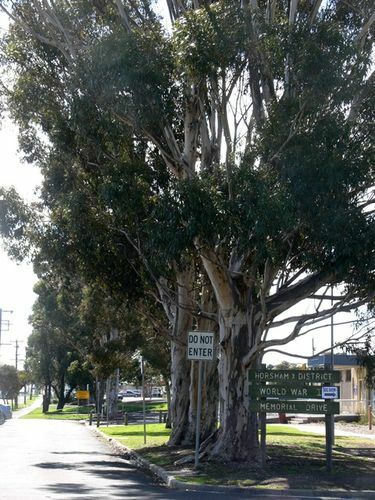 The Horsham and District World War One Memorial Drive which originally was at McBryde and McPherson Street is largely non existent as most of the trees have died or have been removed for road widening. No name plaques are evident on any of the remaining trees. The monument which stood at the corner of McPherson and Mc Bryde Streets has been removed and is now situated in Memorial Drive. Funding has been received in 2015 through the ANZAC Centenary Grants Program to recreate the Avenue of Honour.